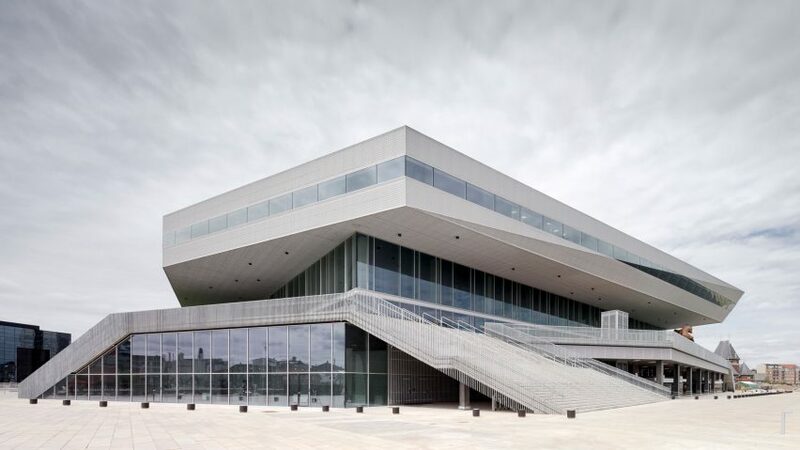 One of the world's biggest architecture firms has taken over Danish office Schmidt Hammer Lassen – a move one of the founders claims will make the company less "vulnerable". Perkins+Will, an American firm with over 2,000 global employees, has bought all the shares in Schmidt Hammer Lassen, the studio founded by Morten Schmidt, Bjarne Hammer and John F Lassen in 1986. According to Schmidt, joining the world's fourth largest architecture practice forms part of a succession plan for the company, now that the founders are getting closer to retirement. He told Dezeen the buyout will secure the future of the company for the staff. "We have been working in New Zealand, Australia, China, North America, Greenland, Iceland, the UK, all over the place, but we're only 150 people," he said. "It has been very very demanding in many ways and we're vulnerable." "The bigger and more complex these projects become, the more management is required," he continued. "If we lose some competitions then we are vulnerable, and we can't secure our staff to be on board." Perkins+Will has previously bought other architecture studios, including Chicago- and Denver-based Sink Combs Dethlefs, retail specialist Portland Design Associates and transport designer Nelson\Nygaard. However, unlike previous takeovers, Schmidt Hammer Lassen will retain its name – at least for the immediate future. The three founder will continue to lead the practice. Schmidt claims that, being Danish, the company's values are a desirable and sellable commodity. "They are buying our brand and therefore they want to keep our brand, they want to keep our name, they want to keep the way that we work," he said. "The values that are very important for us, coming from Denmark, are something that around the world is appreciated and valuable – that is why we have become successful." Perkins+Will also has a reputation for being a responsible company. It performed better than most in Dezeen's gender-diversity survey, and principal Joan Blumenfeld is a member of the Beverly Willis Architecture Foundation – a non-profit organisation that aims to highlight women's contributions to architecture. "Our firms share a clear mission: through architecture and design, we make a positive difference in the world and in the lives of others," said Bjarne Hammer. "We both believe strongly in the transformative, healing power of design to address some of the most pressing social and environmental issues of our time. And, we both thrive in a design culture that encourages collaboration." Perkins+Will CEO Phil Harrison added: "We see the coming together of design cultures, aesthetics, and sensibilities as a positive force that leads to better, more thoughtful, more inclusive architecture." "At Perkins+Will, we appreciate and celebrate Schmidt Hammer Lassen's Danish design legacy, and look forward to the many ways it will positively influence our collective body of work." Schmidt Hammer Lassen's best-known projects include the Katuaq Cultural Centre of Greenland, the International Criminal Court in The Hague and Scandinavia's largest library. Upcoming projects include Shanghai's new city library, the world's largest waste-to-energy plant and the new library for earthquake-damaged Christchurch. For job opportunities at Schmidt Hammer Lassen, visit their company profile on Dezeen Jobs.